Shade plants can make a play area or landscaped area more appealing. However, shade is also appealing to a number of other things, such as dogs, cats and kids. 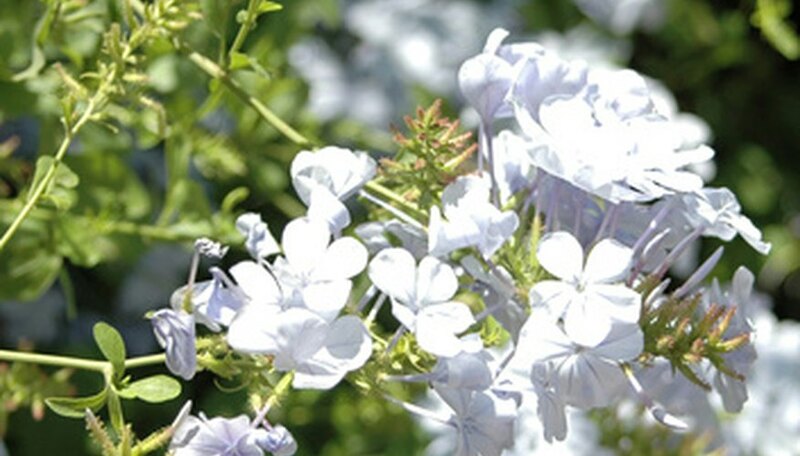 While most shade plants are safe, a number of them, such as nightshade, morning glory, foxglove and trumpet vine, can be harmful if ingested or can cause physical harm with thorns or irritating saps. Annual plants must be replanted each year. These bright, flowered additions to a garden or play area provide a dynamic accent to a play area. They are also fairly low maintenance and need next to no sun. In most cases, you will be able to rely on the weather for adequate watering. Impatiens, violets and begonias are fun to look at and make lovely, safe nosegays if your small charges decide to "interact" with the garden. Perennial shade plants return each year. They are ideal for continuity in a play area and require little maintenance. Hostas make great borders for pathways and for the area itself, while yellow corydalis will add a splash of color. Bugbane is beautiful and safe, but it will attract bees and other pollinators that may sting. While we often assume that fruits and vegetables must be safe, many fruit seeds can cause seizures in pets and make small children ill. Avoid potatoes, which have potentially toxic foliage, and apples, plums, cherry, apricot and peach, because their seeds or pits contain cyanide. Instead, opt for lettuce, arugula or spinach. These are harmless when consumed, thrive in the shade and are not particularly attractive to most pets.